What a juicy title and cover; right up my alley. True crime, history, some light (accessible) science, and a little murder mystery. Yes, please. 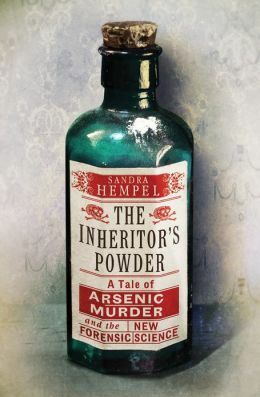 Sandra Hempel’s book about the arsenic poisoning epidemic of the early 1800’s, and the advances in forensic medicine and pursued it, is very much in the tradition of The Invention of Murder and The Remedy, obviously. To a lesser extent it also relates to The Peculiar Case of the Electric Constable and The Devil in the White City. I don’t mean to say that Hempel’s work is unoriginal, you understand, but these are the books I’ve read that feed my interest in the subject, and can continue to satisfy yours. Much of this story was familiar to me, mostly from The Invention of Murder. Britain in the 1800’s saw an increase in crime, particularly murder – or at least an increase in its recognition and efforts to curb it – and the birth of the police force and investigations. The early 1800’s also saw a wild increase in the use of arsenic both as a household solution to just about any ailment, and as a quick and easy way to dispatch one’s fellow human. It was called “the inheritor’s powder” because so many people apparently used it to gain an inheritance ahead of the natural schedule. 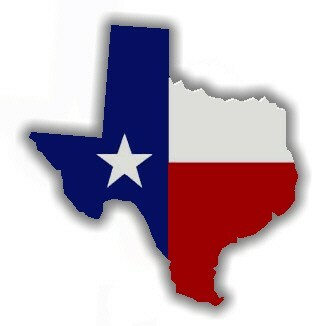 The growing prevalence of cheap life insurance or “burial clubs” played a role here as well. This background is conveyed easily and accessibly and, again, is also covered in The Invention of Murder; where The Inheritor’s Powder breaks new ground is in delving into arsenic more deeply, and specifically into one sensational case that illustrates the larger issues. In November of 1833 a well-to-do farm family fell ill after their morning coffee; the elderly patriarch would suffer several painful days before dying, while the others would recover. The local doctor suspected arsenic poisoning almost from the first, and conducted some investigations of his own, including saving samples of the coffee grounds in question and the old man’s vomit. (It was later noted that there was so much vomit around that there may be some question of whose vomit it really was…) “Investigations” and “evidence” were new concepts, and our modern understandings would be incredulous at the attempts, but for his time, this local doc was proactive and scientific in his methods. There was a police inquiry, an inquest, and eventually a trial in which a lazy grandson was acquitted (on questionable grounds); but various members of the family came under suspicion and we still don’t know exactly who or what killed George Bodle. Hempel details the court case and the public interest that followed it. Charles Dickens gets some play here (again, as in The Invention of Murder), which adds to the macro-view of this issue in society and in history: the literary minds of the day were at least as interested in the arsenic epidemic as anybody else. Hempel also looks into the science of testing for poisoning, or specifically for arsenic. Medical science was at such a stage that it was very difficult to distinguish one malady (say, poisoning by arsenic) from another (say, food poisoning by rotten fish) – and of course this question is separate from the question of whether poisoning by arsenic was intentional and therefore criminal, or accidental. Again, I must stress as Hempel does, arsenic was pretty ubiquitous at the time; people mixed it up and applied or swallowed it in various forms for a wide range of complaints. Chemists (or as we see here, chymists) were hard at work on the issue of testing for the presence of arsenic and various substances; cases like the Bodle murder were influential in moving the science forward. I found this topic rather fascinating, and it was a good way to get a look at what 1830’s English life looked like. For example, I was interested to read about the conflict over who would pay for the investigations and trial – the local parish? Bodle’s estate? his survivors, or the executors of his will? Nobody wanted to pay; but society couldn’t just let this murder go unpunished, either. This was an issue that wouldn’t have occurred to me. Hempel’s writing and research are fine, but lack the quirky style, entertaining writing, or personality that make a work of popular history really stand out. For readers interested in the topic, by all means go forth. But this is not enough of a page-turner to convert the dubious.